Mainly for German speakers … but you might enjoy the stamps anyway. öffnen die weiß gewandeten Helfer. Eine schwer befestigte Grenzanlage zieht sich vor beinahe 2000 Jahren quer durch ganz Europa. Ein Bollwerk von Nordbritannien bis zum Schwarzen Meer. Doch wovor fürchtete sich das Imperium Romanum? Slightly over dramatized, IMO, but interesting, lots of archaeology. Even though the site is in German, English speakers may go here and click on the red arrow above the photo to view a slide show of 12 images related to the battle in the Teutoburg Forest. The magnifying icon gives you nice enlargements. 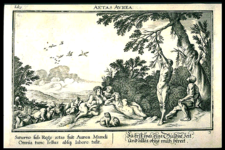 Antike und Abendland, remembering Golo Mann's 100th birthday this month, has an entry Golo Mann, die Antike und ihre Historiker – eine Spurensuche zum Hundertsten. Die Antike, genauer: die römische Literatur bildete einen nicht unwesentlichen, wenngleich wenig beachteten Teil im geistigen Haushalt Golo Manns. In Salem gehörte Latein, von Kurt Hahn persönlich unterrichtet, zu seinen Lieblingsfächern, und auf den fürsorglichen Rat von Karl Jaspers hin absolvierte er das Erste Staatsexamen für das Lehramt in diesem Fach, um einen beruflich brauchbaren Abschluß vorweisen zu können. Die gelesenen Autoren - Cicero, Sallust, Horaz und Tacitus - begleiteten ihn das Leben hindurch. 1976 erschien in der „Neuen Rundschau" ein „Versuch über Tacitus". Dem in seinen Augen letzten großen Historiker Roms fühlte er sich besonders verbunden; Stilwillen, eindringliche Personenportraits und eine pessimistische Grundhaltung kennzeichneten beider Geschichtsschreibung. Furthermore, he was instrumental in getting Syme's Roman Revolution translated into German, and under his aegis as editor of Propyläen Weltgeschichte 3 plus of its 10 volumes were dedicated to antiquity. For our book chat members, the content of this detailed Bryn Mawr Classical Review of the German publication Römisch-germanische Begegnung in der späten Republik und frühen Kaiserzeit. Voraussetzungen-Konfrontationen-Wirkungen. Gesammelte Studien by Dieter Timpe, 2006, should be of interest, given last Wednesday's discussion. […] In his introduction (3-18), T. explains the impossibility of writing straightforward 'Germanic' history, principally because 'Germani' is a Roman construct. There was never an ancient, independent and self-aware Germanic 'nation', viscerally opposed to the Roman Empire, only middle and northern Europeans messily but positively interacting with their southern neighbours -- Celts, then Romans. T. argues that Rome's dealings with the northern barbarians are obscured by the paucity of the sources and their propensity to distort what they describe according to their own experiences and expectations. […] T.'s main themes are easy to recognise. Historiographically, he stresses that most of our sources, preferring preconception over experience, seriously misinform us about Germanic affairs. Their projection of an absolute polarity between 'Germanentum' and 'Römertum' played a crucial role in shaping German nationalism, which remains an embarrassment for contemporary German historians. However, their misinformation may be corrected by assessing what they say against the wider geographical and historical context. Historically, he is equally keen to assert that, contrary to the sources, in their practical dealings Romans and Germani were generally cooperative. His 'big idea' is certainly that under different circumstances Rome could have provincialised Germania, and that what determined otherwise was the emergence of an axis of Suebian power up the Elbe. Die Schlacht im Teutoburger Wald: Arminius, Varus und das römische Germanien by Reinhard Wolters (C.H. Beck, 2., durchgesehene Auflage 2009) is another excellent treatment of the event and its era, and its aftermath. Aus der Vielzahl einschlägiger Publikationen hebt sich dabei das Buch des Tübinger Historikers Reinhard Wolters positiv hervor: Es präsentiert seine fundierte Gesamtdarstellung knapp und übersichtlich und ist in jeder Hinsicht preiswert. Der Tonfall ist sachlich, und Wolters verzichtet auf jene narrativen Elemente, die suggerieren, der Autor sei selbst dabeigewesen. I can whole-heartedly endorse this! Very informative and well organized. Archaeological background to the clades variana battlefield can be found at the Museum und Park Kalkriese, Osnabrűcker Land, Germany. I myself had a flying visit there in 2003, with rather meager photo results. Meanwhile, the 2000th anniversary of the battle is here: What happens in 2009? Adrian Murdoch, author of Rome's Greatest Defeat: Massacre in the Teutoburg Forest, has been blogging updates connected to the event, but unfortunately most of the newpaper clippings and interviews are in German. I have saved the most interesting articles to my computer and may refer to/summarize them, blogging time permitting. In his latest, he points to Focus Magazin: "Lots too at Focus which is developing its series 2000 Jahre Varusschlacht. It is worth keeping an eye on, as new articles appear to be going up on a daily basis at the moment." You can also follow Adrian on Twitter. I've been loosely following the recent news (mostly in German) that an ancient battlefield has been discovered at Kalefeld in the administrative district of Northeim in the state of Lower Saxony. This is close to Göttingen, in the foothills of the Harz Mountains. (I used to live in Northeim when a young child.) Findings indicate that the battle took place in the early 3rd century CE, at a time when it has been generally assumed that no Roman forces went that far east of the Rhine river into that particular section of Germania. It's too bad that the main press release and a news video are in German only, but rogueclassicist David Meadows has an extensive round-up of the news, and both Adrian Murdoch of Bread and Circuses and Gabriele Campbell of Lost Fort cover the issue and speculation at length. In the book chats we recently talked about Roman Mainz – see my web page – when we discussed Eagle in the Snow by Wallace Breem, and earlier this month The Iron Hand of Mars by Lindsey Davis. The German Wikipedia page Mogontiacum (as usual handle with care) is a comprehensive one, though it says that it still needs editing ("bearbeiten"). It includes a list of the legions that were stationed in Moguntiacum. I'm still trying to find a list of the various types of pictorial symbols on the map. Assistance is greatly appreciated. I may find similar pages as I progress with the link checking on other travelogue pages and will post them here. More from David Derrick's The Toynbee convector, on one of my favorite reads: Goethe’s Italian Journey. The Metamorphoses by Ovid. Engravings by Johannes Baur. 1703. For full articles through 2006, you have to click on the HTML links, beginning 2007, everything is in PDF format. The lectures were first published between 1811 and 1832. 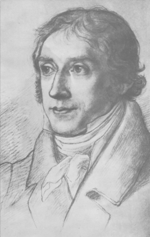 Barthold Georg Niebuhr (1776-1831) was a German statesman, diplomat, and historian. I had meant to do this for quite a while, and my mind was jogged by David Meadows’ classicarnival of today. Budding archaeologist Kristian Minck of Denmark has a greatly informative and well illustrated blog, Ancient Transportation: Roman wagons and beyond. If you look at the categories, it is nicely organized and also has a separate “still running” bibliography, which however, is largely in German. 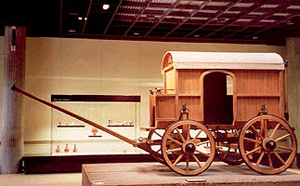 This is a latish Roman carriage, bits and pieces of which were found north of Thessaloniki. Nach umfangreichen Renovierungsarbeiten öffnet die Zeitschrift »Abenteuer Archäologie« am 28.9.2006 ihre neue Webseite. Unter www.abenteuer-archaeologie.de wird neben Bewährtem auch viel Neues präsentiert. Die Besucher können in allen bisher erschienenen Ausgaben des Magazins zu recherchieren, Abonnenten können darüber hinaus sämtliche Artikel online lesen und ausdrucken. Außerdem bietet die Redaktion zukünftig regelmäßig und kostenfrei Nachrichten über die wichtigsten Erkenntnisse archäologischer Forschung und die spektakulärsten Funde. Im Rahmen einer Medienpartnerschaft mit dem Deutschen Archäologischen Institut wird zudem die Heft-Rubrik DAI International jeder Ausgabe als PDF-Datei zum Download bereit gestellt. An anderer Stelle werden Stipendiaten des DAI ein Jahr lang über ihre Reise um die Welt berichten. Mit den Bildern einer Ausstellung lädt die Redaktion zum virtuellen Besuch in ein Museum ein. Die Überarbeitung der Webseite geht mit dem Erfolg von Abenteuer Archäologie auf dem Zeitschriftenmarkt einher. Im August 2006 hatte die Heidelberger Spektrum der Wissenschaft Verlagsgesellschaft eine Erhöhung der Erscheinungsweise von drei- auf zweimonatlich verkündet. Please note that part of the Deutsches Archäologisches Institut site is in English, see left-hand column & drop-down menues at top. A post in rogueclassicism today, Excavating a Commodan Villa and the related website about the Gayton Thorpe Villa Project near King's Lynn in Britain, brought back memories of my visit to the Roman Villa in Ahrweiler, Germany in 2003, and I brought that page up and updated it – there are always disappearing URLs, and new links if one is lucky, and I did find two of the latter ones: even though they are in German, you can enjoy the photos. So here is the villa rustica at Ahrweiler, and lots of photos, mine and others'. Don't miss the miscellany page. livius.org now has a comprehensive article on the 19th century German historian Theodor Mommsen. At the bottom of the page, Jona Lendering lists a biography of Mommsen in German by Stefan Rebenich, Theodor Mommsen, Eine Biographie. I wrote a review a while ago, and for German speakers, I can highly recommend it. German Speakers may be also pleased to see that more works by Mommsen are available now in print. If you go here and click on the author's name, you'll get them all. I've blogged Mommsen earlier also. My own page with various links.